Love or hate Tiger Woods, I think today’s message will hit you right between the eyes… so bear with me and let me tell you a little story about success and failure. Tiger Woods was once the #1 player in the world… for an unreal 683 weeks. He was at the total top end of the game and success seemed like it couldn’t go any higher for him. Then Tiger started to destroy his own world. Affairs, drugs, injuries, arrests, lost endorsements, and MASSIVE embarrassment… all self-induced. Every TV commentator, magazine, and blog ridiculed him as well. He became a late night TV hosts best friend… joke after joke was told at his expense. Tiger kept trying to right the ship and come back to golf, but his body just wouldn’t cooperate. Physical pain from a bad back drove him even lower. A DUI arrest. A mix of sleeping pills, weed, and pain medications were found in his bloodstream. Then even more ridicule and jokes. All the while, Tiger claimed he hoped to make it back on tour. The absolute highest high to the absolute lowest of the lows. And everyone doubted his return to competitive golf. Then last week… Tiger stood on the first tee of his own tournament. Our Facebook group went nuts… everyone was tuning in to watch. IT WAS A BIG DEAL. Golf Channel had special coverage… Twitter was ablaze… and we all watched and wondered how he would play. Can you imagine the nerves Tiger had? He KNEW EVERYTHING everyone had said… and he was out there to prove them wrong. No one believed… but he did and that’s all that mattered because HE PROVED EVERYONE WRONG. 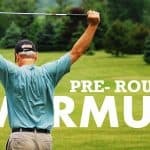 It took a monumental effort to overcome a lot of craziness in his life to get back to the first tee of a PGA tour event. What had to be going through Tiger’s mind? I’m fairly certain he was scared on that first tee. He had practiced and knew how good his game was. And that’s fine when there’s no pressure… but when the world is watching you? Can I still do it? Will my body hold up? What if I don’t play well? And then he teed off and played fantastic against some of the best players in the world. This wasn’t a Web.com event… these were hand picked golfers of the highest caliber. He didn’t win, but HE DID. Tiger never gave up on himself. I believe his love for his kids and his love of golf saved Tiger’s life. Without the goal of getting back on tour, where would he be right now? And there’s a lesson here for everyone – No matter how bad things are in your life… you need a goal to pull you through all those dark days and nights. The goal must be powerful enough to get you moving. Tiger’s goal was to get back on tour. And I have to believe he wanted to show off for his kids and show them in person he’s still Tiger Woods. Dedication (i’ll explain how you can apply what Tiger did to make your golf game better shortly). Tiger never quit, even when the entire golf universe seemed against him. 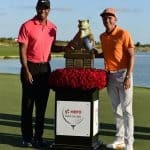 Tiger played great… and the best part? His kids got to see him do it. Talk about coming a full 180 degrees. Maybe you are facing similar circumstances where you feel the entire weight of the world is on your shoulders? I know as I get older, the pressure doesn’t relent… it INTENSIFIES. There always seems to be more and more piled on my plate. So what does Tiger have to do with you? Life is hard. Sometimes, we make it even harder than it has to be (just like Tiger did). The truth is, Tiger would not be playing tour events without good health. I’m sure you can relate… low back pain, loss of flexibility, perhaps some unwanted weight may be affecting you this moment. I would also bet you may have started a fitness program with the best intentions to stick to it. Did you? For the vast majority of people reading this article I would wager you have started and stopped before you got the results you wanted. If you feel like everything is going against you, I encourage you to take action…. Tiring easily on the back 9 and being out-driven by your golf buddies are all things we can fix pretty easily. => Get Golf Academy <= Done for You Workouts. In fact, below is a workout I want you to try tomorrow. 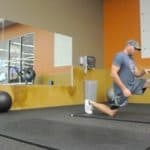 It’s just a simple bodyweight program that is designed to get you moving again… and this is just one of many programs I have inside the Get Golf Fit members area (we’ve also got videos and more detailed instructions in our members clubhouse). You can do this workout 3 times a week, every other day. Rest 1 minute. Repeat 2 more times for a total of 3 sets. If you want pics of this workout, just email me and I’ll see what I can do. Of course, this is a very basic bodyweight program. If you haven’t worked out in awhile, you will find it challenging. And you know what? I know you’ll feel better. My advice is that you alternate your workouts every 4-weeks. The good news is I’ve got over two years of workouts if you did them back to back inside of our members area… flexibility, power, strength, balance, fat loss, you name it – I’ve designed it. And I add a new workout every single month to the members area to keep things fresh. If you are interested in implementing a full program, there’s no better day than today to get started. => Get Golf Academy <= Drop Fat, Build Stamina, Become More Flexible. If you have any questions about today’s workout, just let me know. P.S. My program is fully backed by a 60-day unconditional MBG (Money Back Guarantee). => Get Golf Academy <= Out-Drive Your Buddies.